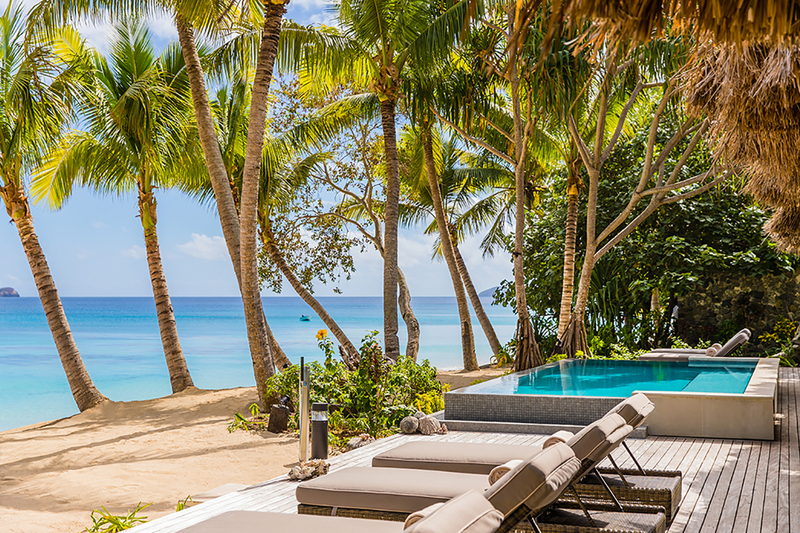 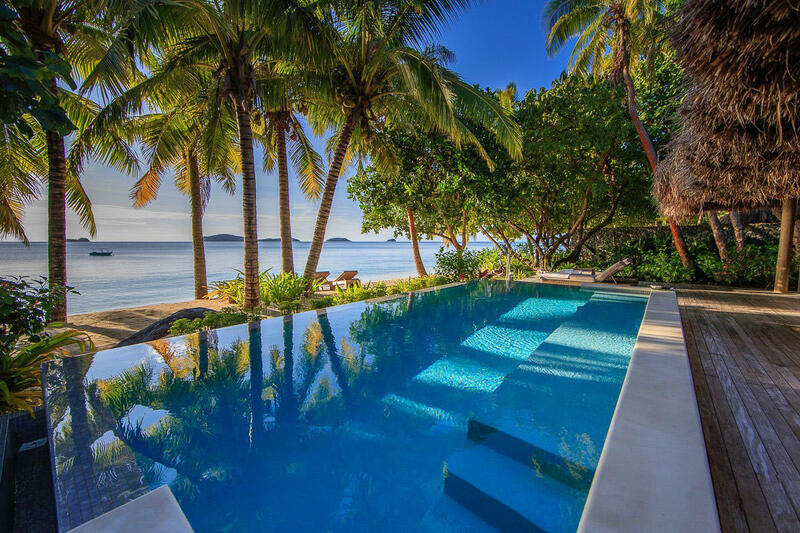 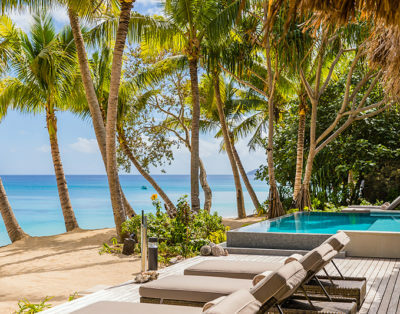 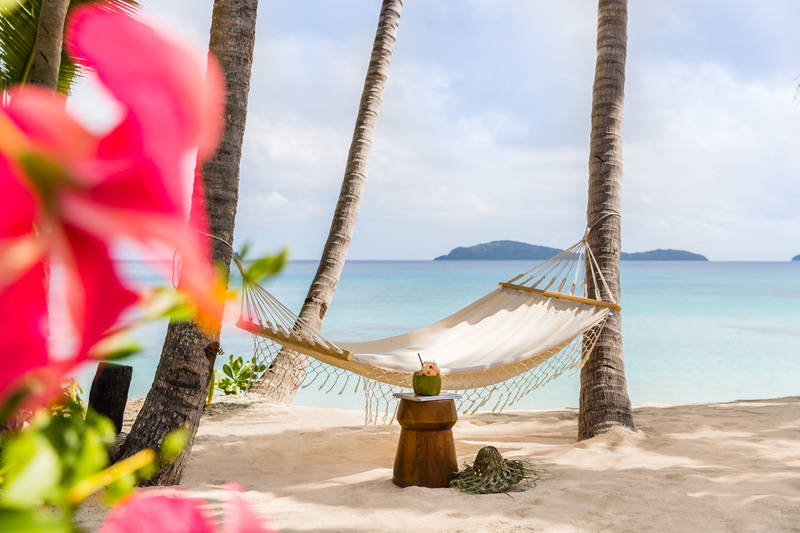 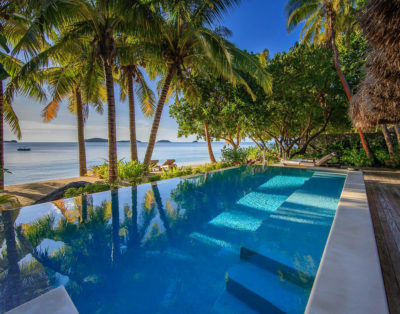 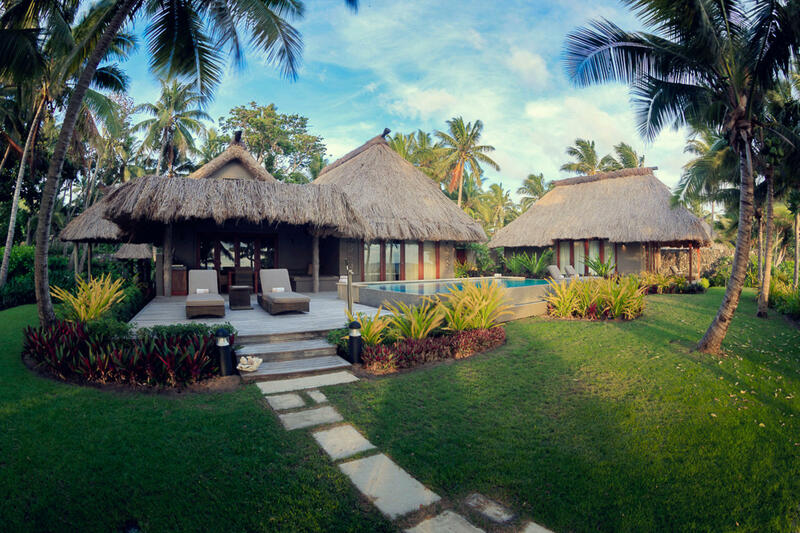 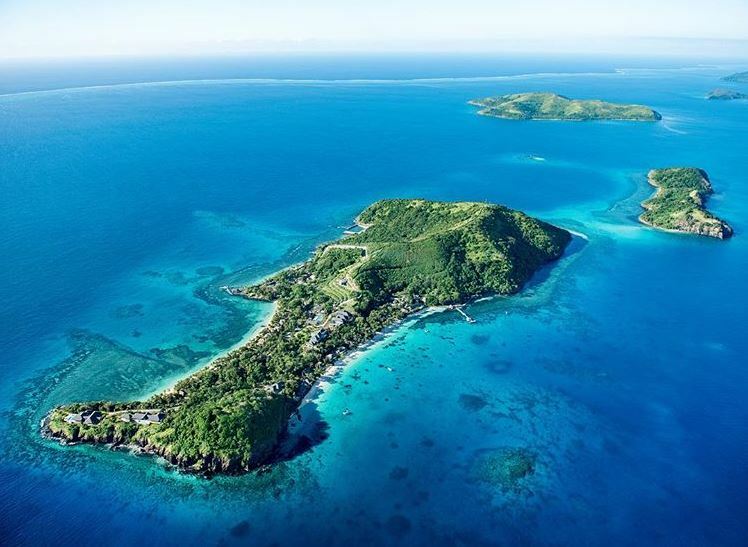 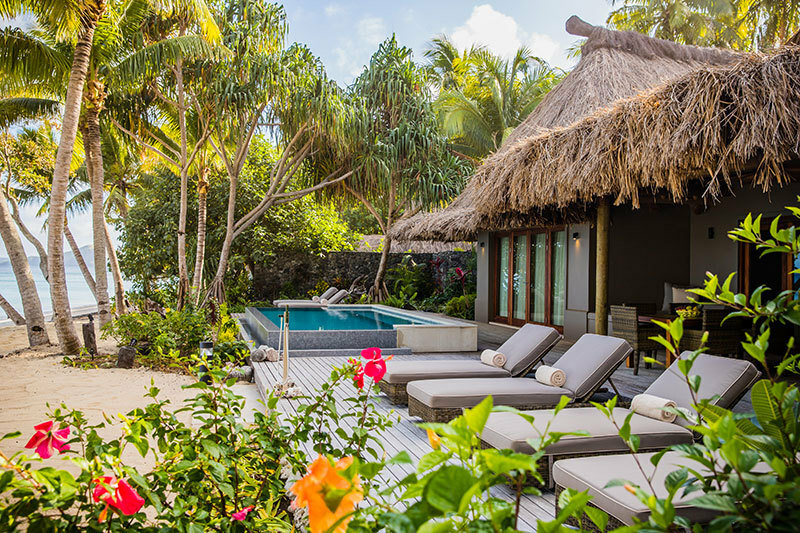 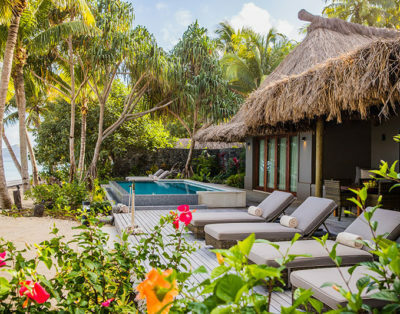 Embracing traditional Fijian design, these extremely spacious 3 bed-villas comprise a master bedroom with walk-in wardrobe and ensuite with monsoon shower, bath and private outdoors shower, in addition to two double bedrooms, each with their own ensuite and private outdoors showers. 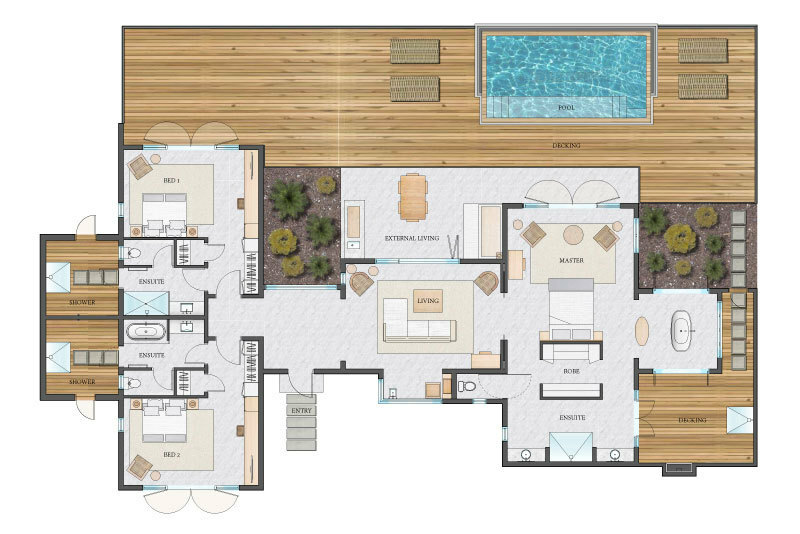 The open-planned living space features a large lounge and kitchenette that opens out onto a private deck with infinity pool, offering magnificent ocean views and direct beach access. 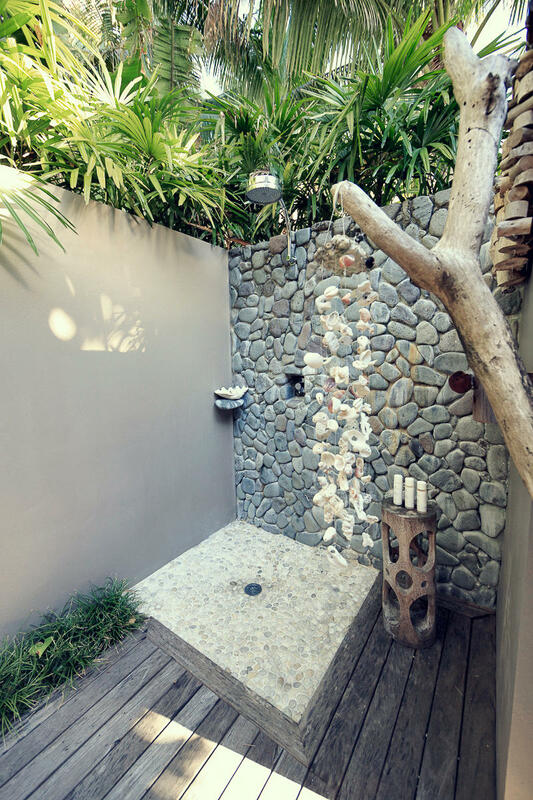 This area is completely private and framed within a tropical walled garden. 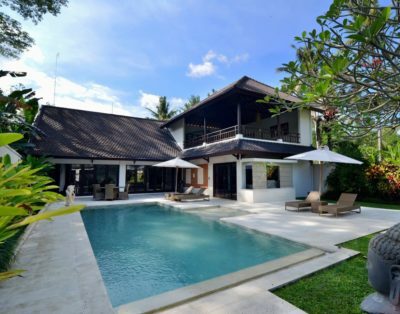 The lounge area in the main villa comes complete with IPTV, VOD, tea and coffee making facilities, air conditioning and free WiFi access. 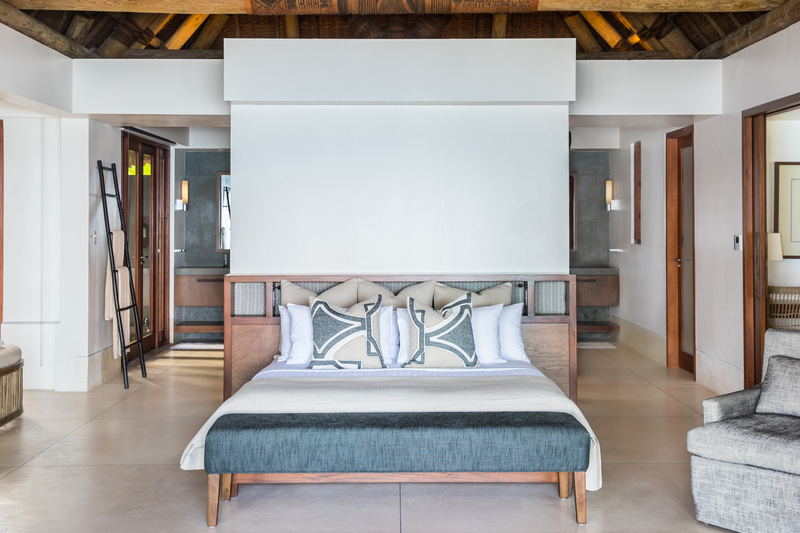 Designed for the intergenerational traveller, the 3-bedroom Beachfront Villas are extremely spacious and boast an expansive open planned layout to ensure every guest has the luxury of their own personal space. 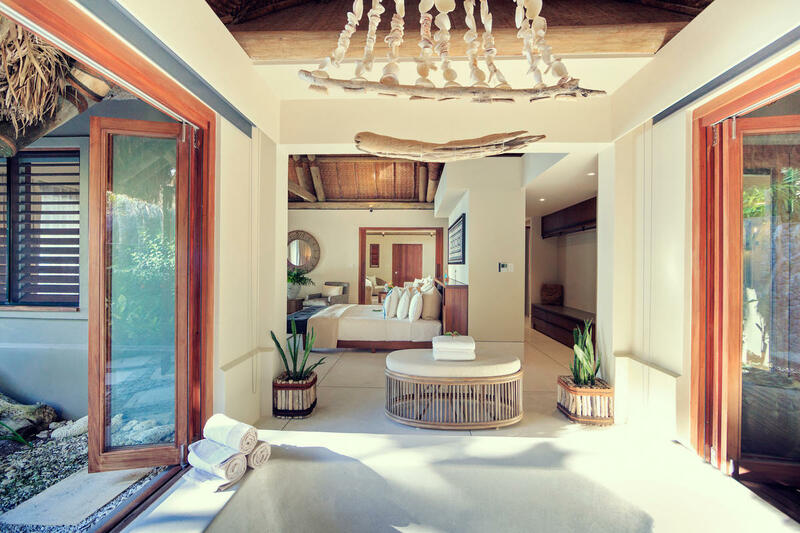 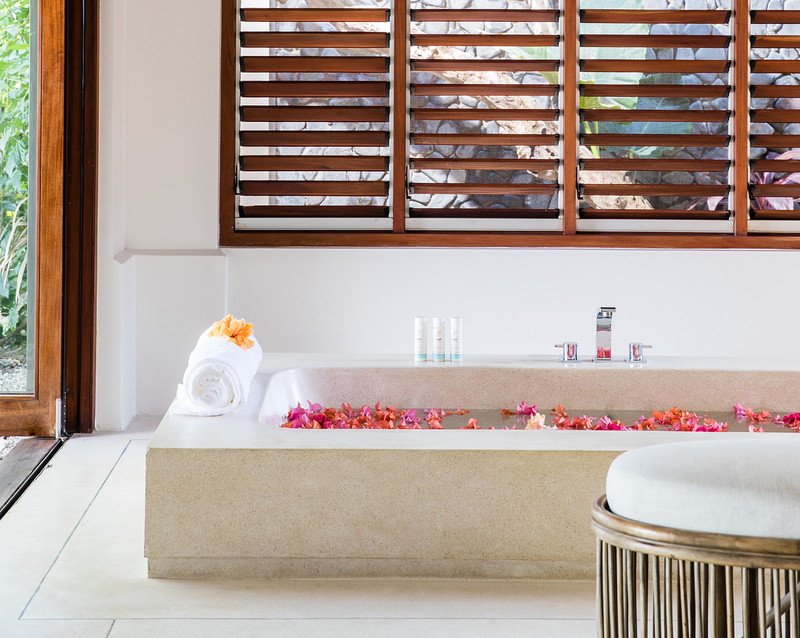 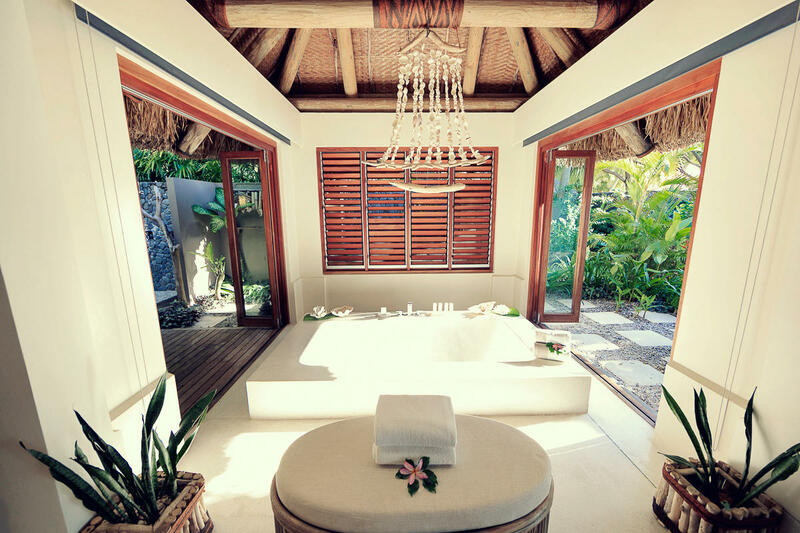 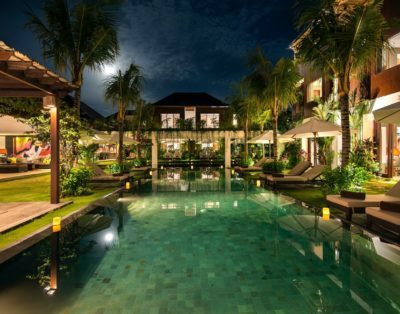 Traditional in design, the villa interiors reflect their natural surroundings. 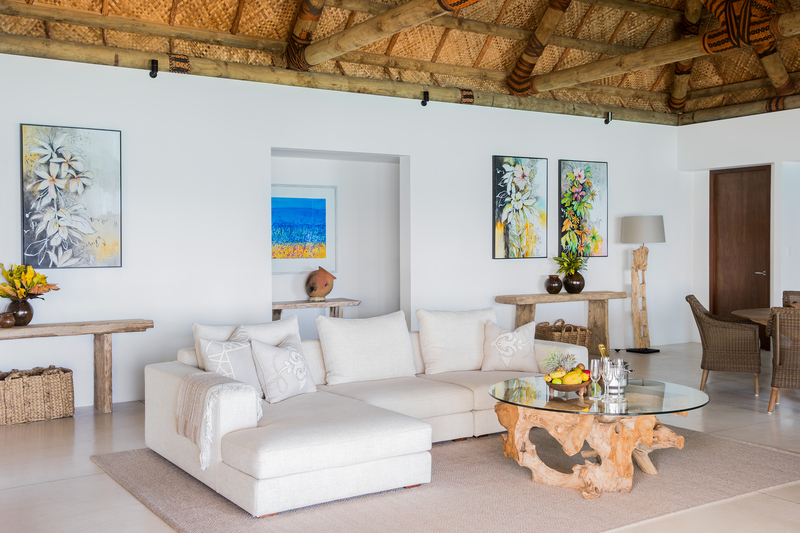 Beautifully woven matting decorates the ceiling and exposed timber pole roof beams, with magi-magi (coconut fibre) wrapped joints – each individually hand woven with intricate patterns that depict traditional motifs and designs- while bursts of colour from Chris Kenyon paintings adorn the walls and bring the villa to life. 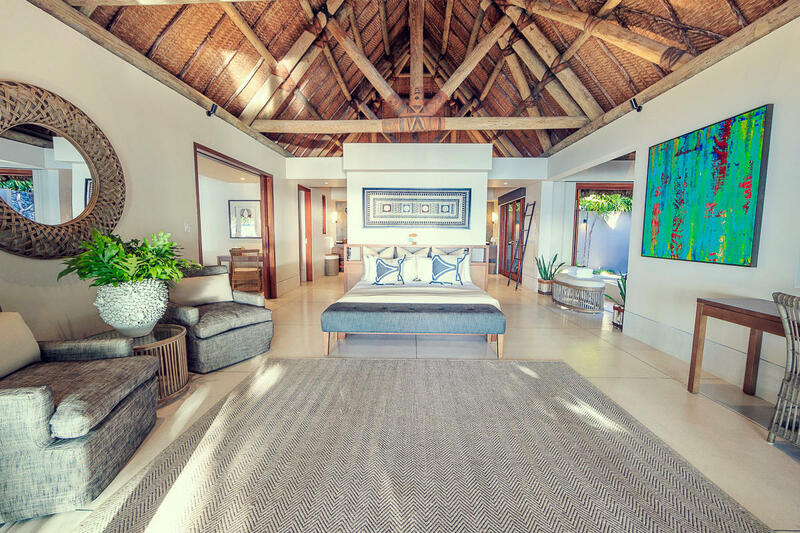 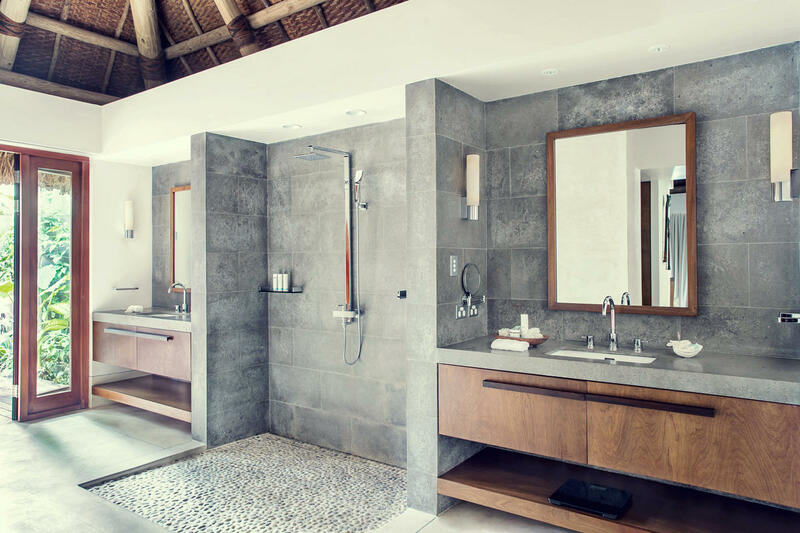 In addition to two double bedrooms, each with their own ensuite and private outdoor courtyard and showers, these beachfront villas comprise a spacious master bedroom, walk-in wardrobe, bathroom with rain shower, deep bathtub and double vanity, which leads out to an outdoor shower. 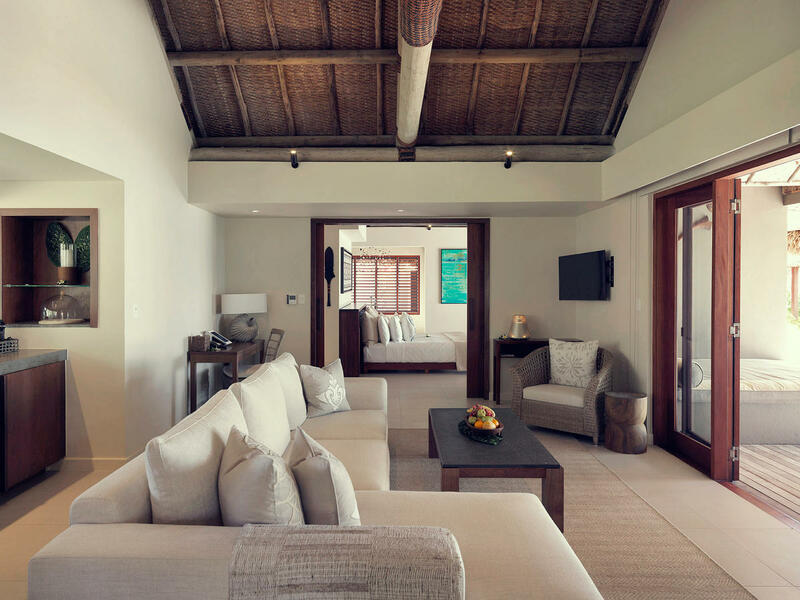 This open plan living space features a large lounge and kitchenette that leads onto a private deck with infinity pool, offering magnificent ocean views and direct beach access. 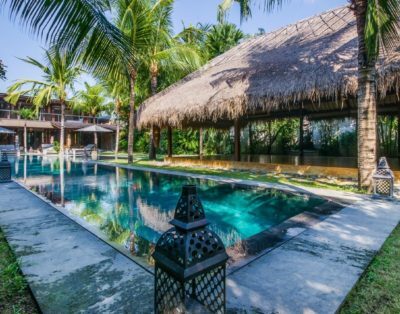 This area is completely private and framed within a tropical walled garden.